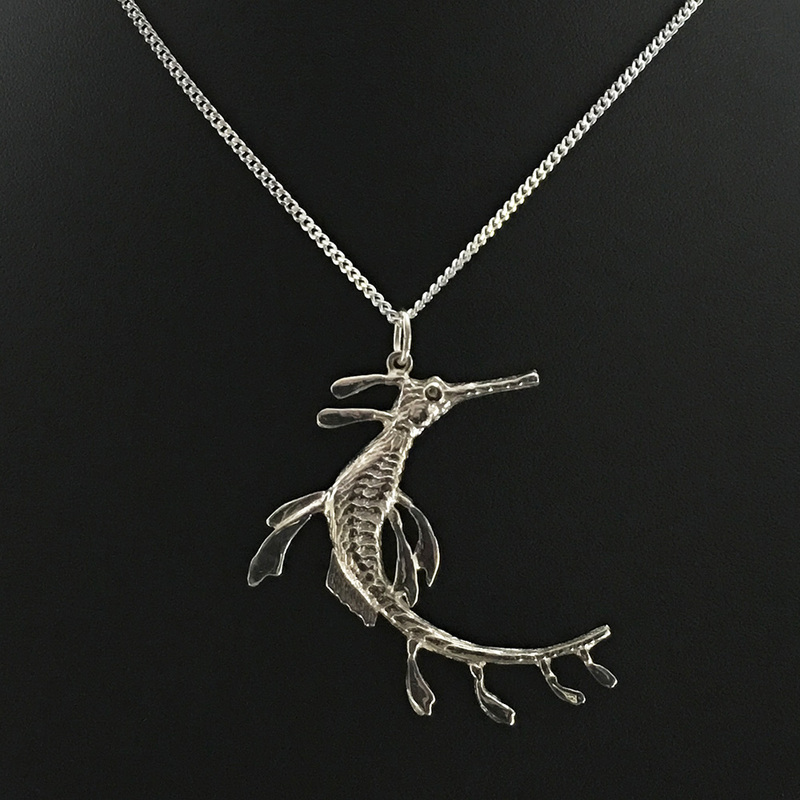 Weedy Seadragon cuttlefish cast sterling silver pendant – perfect gift for divers, beachcombers, anyone with a love of the weedy seadragon, or of course, for yourself! 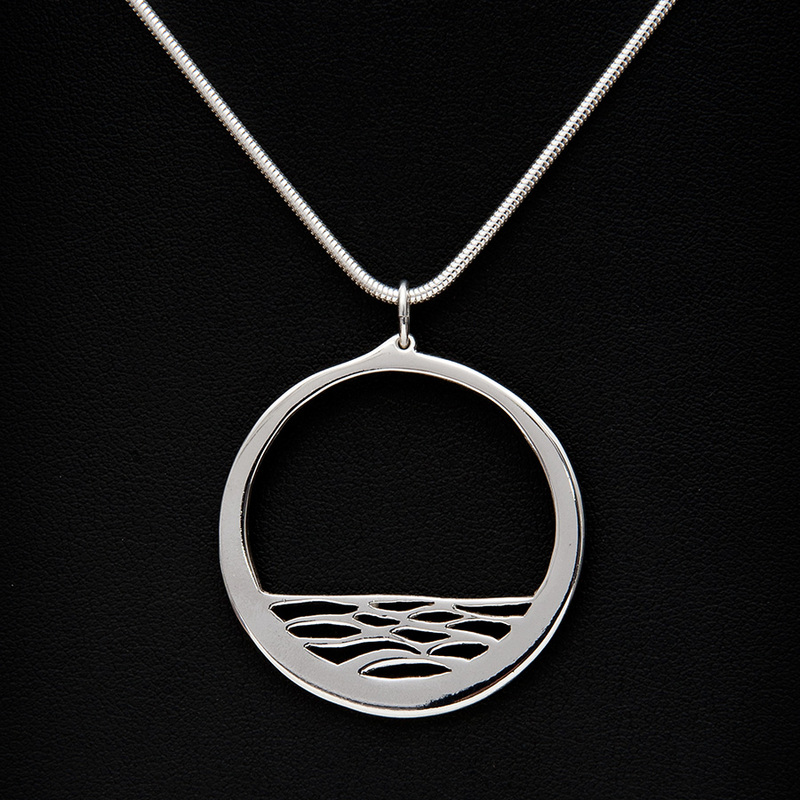 Co-director of Fine Art Kangaroo Island, Fred Peters has been producing artwork in this community for 25 years. 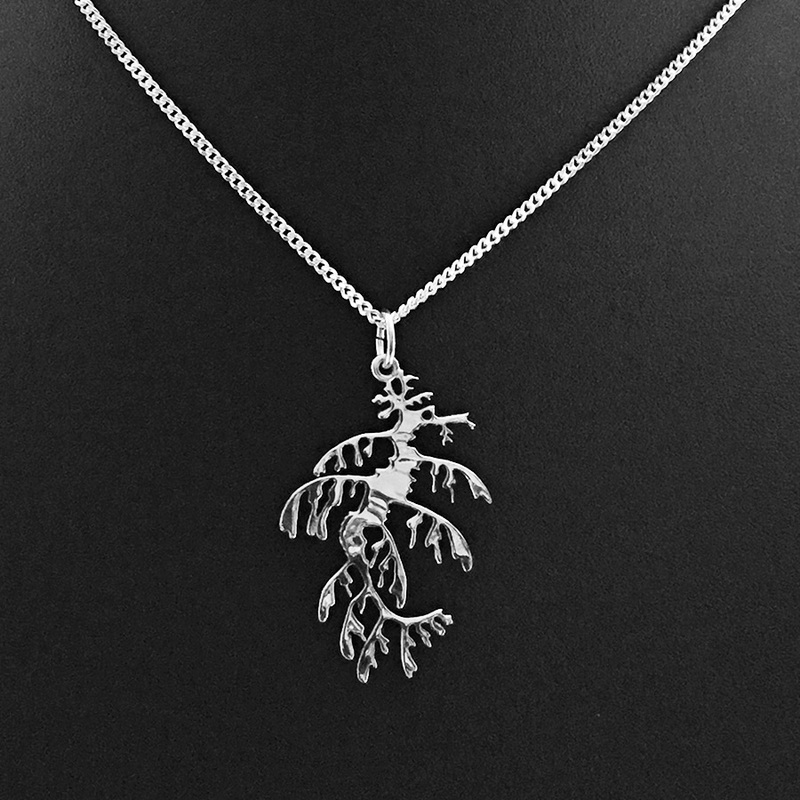 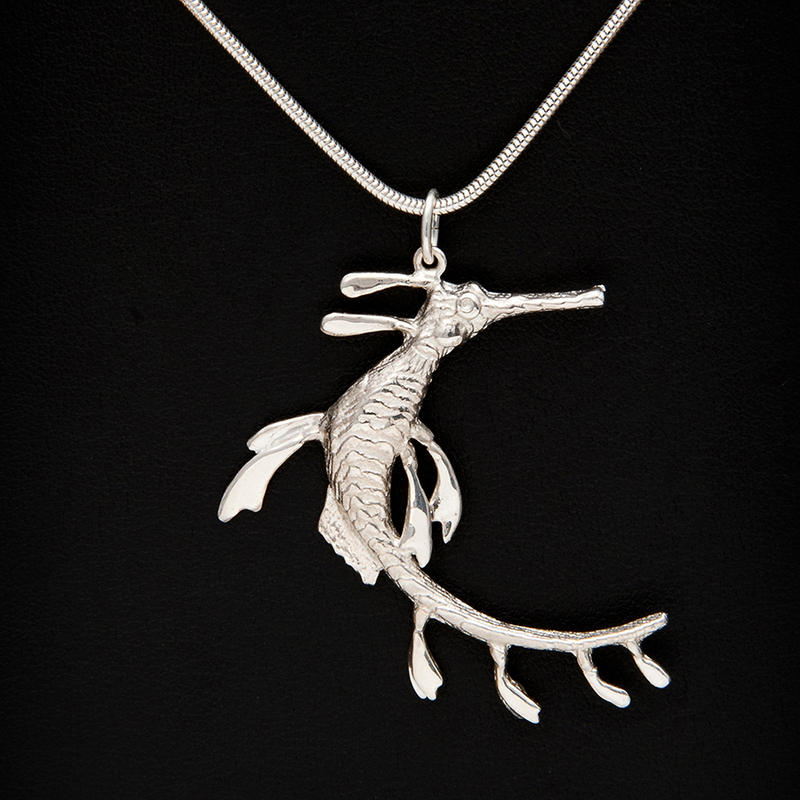 The weedy sea dragon is made by casting molten sterling silver into cuttlefish bone collected from the island’s beaches. 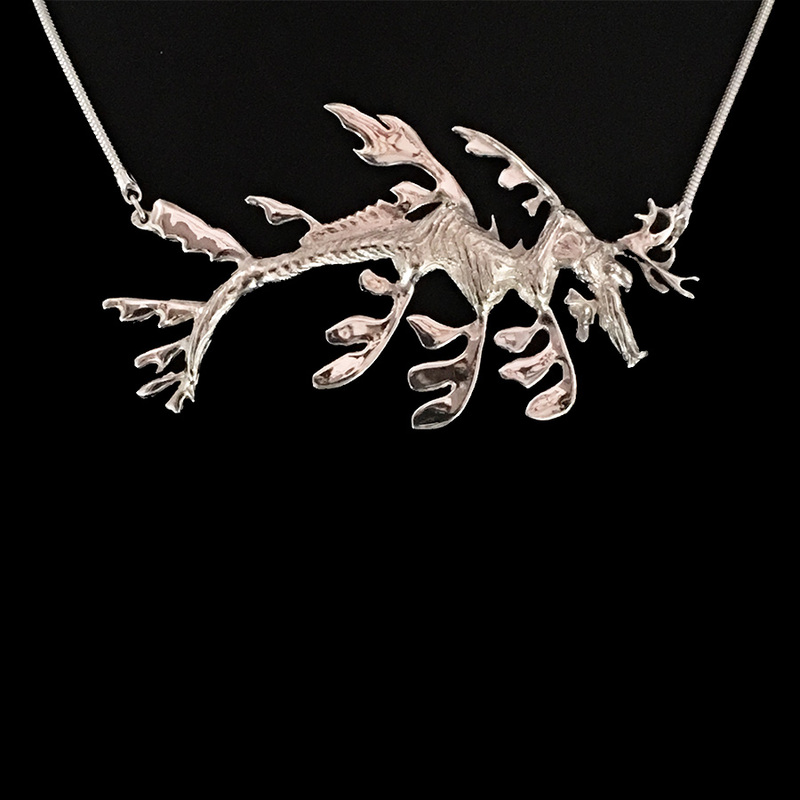 The leaves were fabricated separately and soldered onto the cuttlefish cast body. 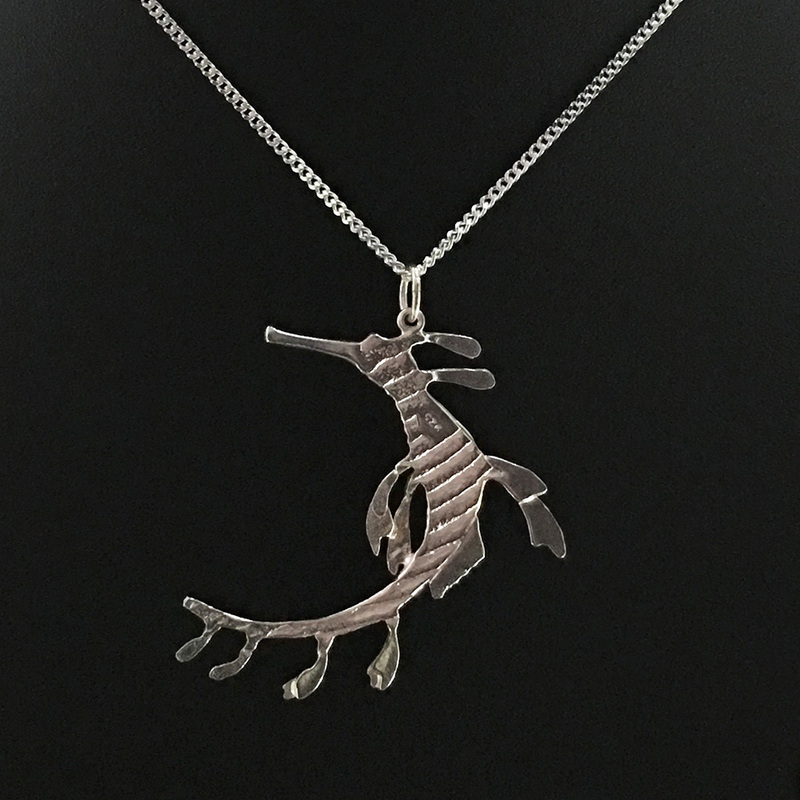 The weedy is a member of the beautiful seahorse family – relatively common on KI – able to move the plates of its exoskeleton into unusual poses of which this is typical. 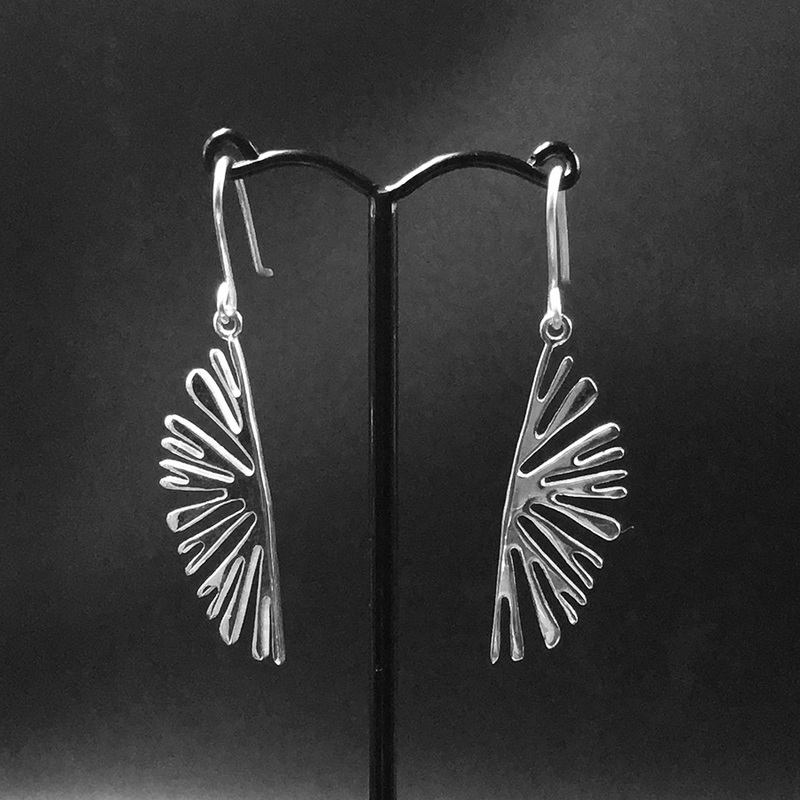 Fred sculpts in found materials and in various metals to produce delicate jewellery. 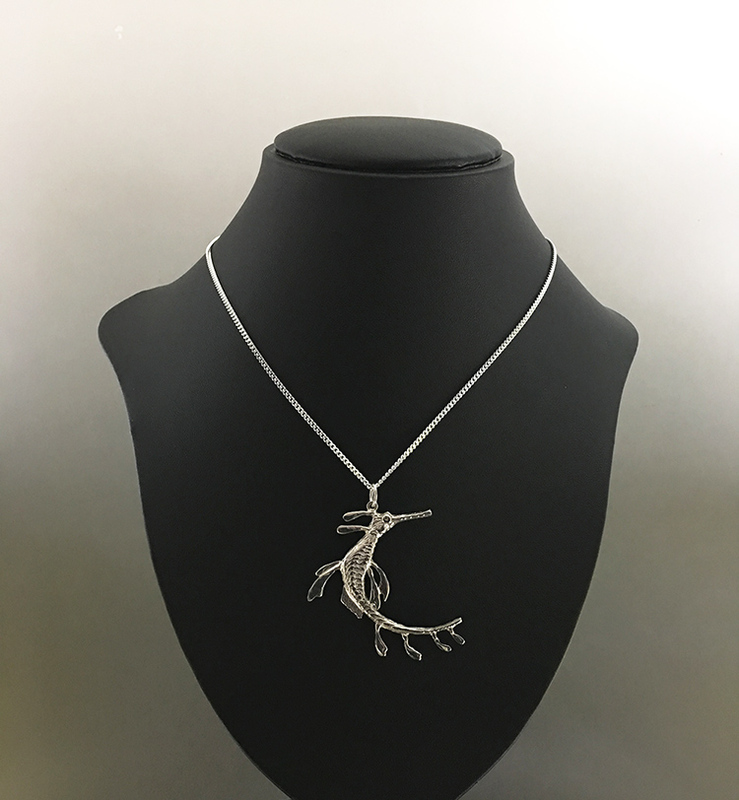 He especially loves to work in sterling silver.